In today's world of expanding technology you need a web based content management system that's as flexible as your business. Our core solution has been built upon leading technologies, standards and techniques to provide an easy to use web based management system. 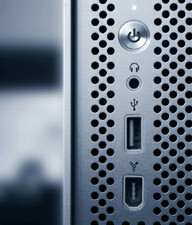 We take care of the servers so you can spend your time on your business. If you have a unique business need we can add a custom component to extend the capability of your website. Remaining competitive without spending a fortune has become a misnomer but we are dedicated to providing affordable solutions with big system features. We understand the demand facing businesses and we also understand that your website is an extension of your organization. We will work with you personally to reach your goals while maintaining an affordable budget.